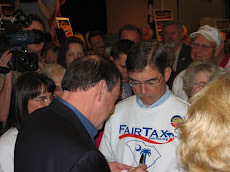 Following Jim Bennett's appearance on 101.5 FM radio on January 13 the host of the show Jim Gearhart has linked the FairTax national website to his webpage on the station. Mr. Gearhart did not take questions from his audience during the segment because he said that he did not know enough about the FairTax. 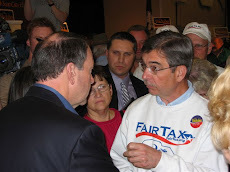 One of the purposes of such appearances is to wet the interest of the host so that he does his own research to understand the principles of the FairTax. In this case it appears that Jim Gearhart has done his homework as evidenced by the link he posted. All of these kinds of steps are so important as we move the FairTax forward by the constant beating of the drum.